China Global Television Network, or CGTN, is an international media organization launched by CCTV on December 31, 2016. It is now part of China's predominant radio and television broadcaster, China Media Group, which has incorporated CCTV, CNR and CRI since March 2018. As a multi-language and multi-platform media organization, CGTN operates in television and online. It also incorporates a video news agency CCTV+. Headquartered in Beijing, CGTN has an international team of professionals based around the world with production centers located in Nairobi, Washington D.C. and London. CGTN's six TV channels – English, Spanish, French, Arabic, Russian and Documentary – are available in more than 170 countries and regions worldwide. CGTN, a pioneer of media convergence in China, also delivers content through digital platforms. 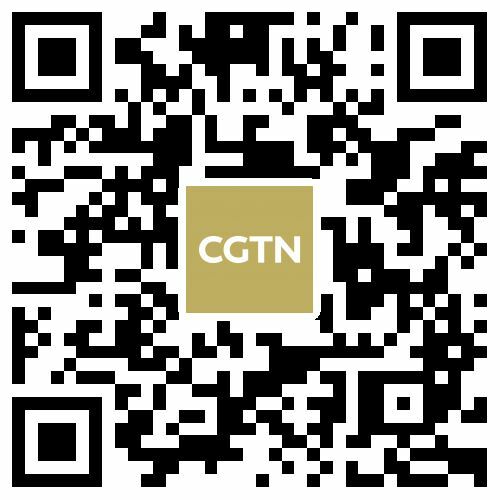 CGTN Digital is accessible via CGTN.com, CGTN mobile applications, YouTube, Facebook, Twitter, Weibo and other social media platforms, with over 150 million followers across the globe. The CGTN media convergence center endeavors to create a world-leading news content brand, integrating various media assets, technologies and management resources. From multimedia journalism to news cloud sharing, from tailored production to multiple delivery channels, it's designed to maximize the efficiency of content production. CGTN seeks to cover China and the world, reporting the news from a global perspective. It seeks to offer a distinctive alternative to the international information flow. CGTN aims to differentiate itself from other media organizations by providing more balanced reporting. The platforms focus on nations, regions, and stories that are often underreported by other international media. Best Current Affairs Program, Asian Television Awards. Best Single News Story, Asian Television Awards. Silver winner in the Social Issues category, U.S. International Film & Video Festival. Gold Camera Award winner for Best Documentary Short, U.S. International Film & Video Festival. First place award winner for editing, White House News Photographers Association. Second place award winner for photography, White House News Photographers Association. Silver Winner for Documentary Series, Telly Awards, USA. Best Documentary award winner, Cannes Short Film Festival. Golden Prize winner in the Short Video category, Global Trend Video Awards. The Gracie Award, Gala Winner, Alliance for Women in Media. Silver Prize winner in the Short Video category, Global Trend Video Awards. Quest Prize winner in the Best Editing category, Global Trend Video Awards. Quest Prize winner in the Short Video category, Global Trend Video Awards. Silver Medal winner in Current Affairs, New York Festivals World's Best TV & Films. Gold Camera Award winner for Best Current Affairs Documentary, US International Films & Video Festival. Television Emmy for Magazine show content. CGTN is proud to employ a team of media professionals from diverse cultural backgrounds. Their commitment and hard work make us what we are today. Click here to meet CGTN's outstanding team. Address: No. A-1, Guanghua Rd, Chaoyang District, Beijing, PR China.